Hand drawn by the BD Creatives, loud and proud across the back page of Scene Issue 4, we wanted to know the inspiration behind that illustration. So, we’ve just sent out Scene Issue 4, how’re you feeling? BD Creatives: We’re all really proud of the outcome. We wanted this issue to have a slightly different feel and tone when compared to previous issues and I think we’ve managed to pull this off. We’re all perfectionists at BD and so much passion, energy and consideration goes into every little detail of the design, copy and print. It’s just great to see the finished piece! 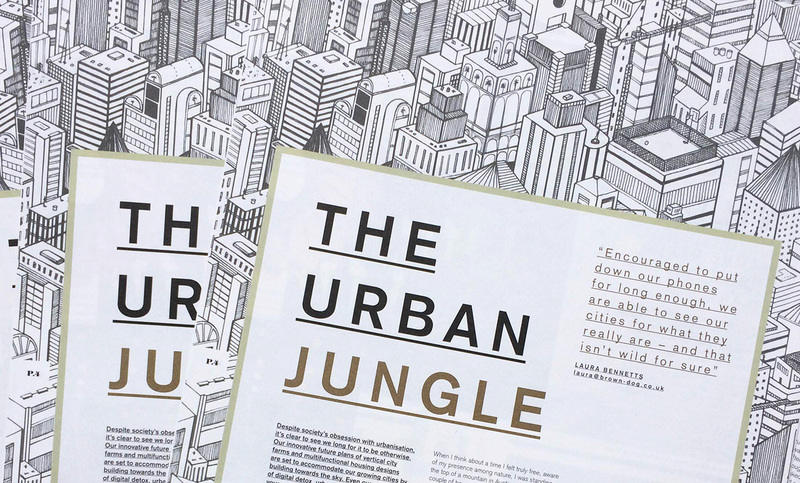 Straight to the nitty-gritty, what was the inspiration behind The Urban Jungle? BD Creatives: It was the idea of being able to get lost in a city. We wanted to create something that looked infinite. Style-wise the obvious comparison would be MC Esher, but much softer and with a more playful approach. There is no breathing space within this illustration so it almost becomes a metaphor for modern life. The city is such an imposing and commanding space and we really wanted the illustration to reflect this. How was this different to other BD illustrations? 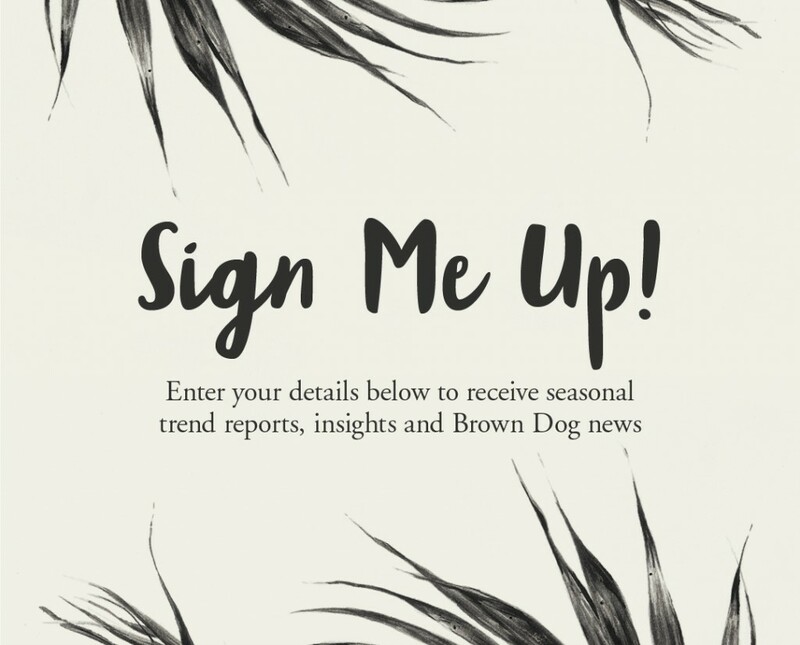 BD Creatives: A lot of our illustrations are single pieces such as the fish illustrated for this issue’s Animal Kingdom trend. The Urban Jungle demanded a more defined look using a ‘blocky’ and geometric style. In a sense it has more of a dream-like quality when compared with the botanical nature of BD’s other illustrations. If you could compare The Urban Jungle to a real city, where would it be? BD Creatives: It instantly reminds us of New York but it could be compared to the canopy of a rainforest! You’re only seeing the top layer and you feel compelled to uncover what lies beneath it. You can almost imagine all of the little cafes, coffee shops and bustling sidewalks tucked into the small spaces between the skyscrapers. We think it really shows what an intriguing habitat the city has become. Although, we do wish there was more places we knew of with rooftop basketball courts! And finally, screen or soil? BD Creatives: We were totally split! Initially we said soil 100%, but then you can’t online shop on soil… does using Apple count?